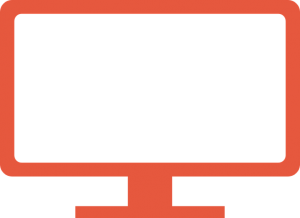 Develop applications that run on desktops, browsers and mobile devices with a shared code base. We are the creators of Eclipse RAP and Tabris and experts for RCP application development. The Eclipse Remote Application Platform (RAP) is a framework for Java developers to build modular business applications that can be accessed from different types of clients including web browsers, rich clients, and mobile devices – from a single code base. 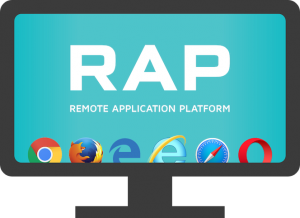 RAP uses the Eclipse development model, plug-ins with the Eclipse workbench extension points and a widget toolkit with SWT API – which means that existing Eclipse RCP applications can be run as web applications with just a few modifications. RAP is an open source project under the governance of eclipse.org, and is available under the Eclipse Public License that gives you maximum flexibility for your licensing strategy. The Eclipse Rich Client Platform (RCP) is the basis of applications in industries worldwide including finance, transportation, space exploration, environmental monitoring or manufacturing. Organizations from NASA to the World Health Organization, JP Morgan, IBM and Adobe have adopted RCP as the basic building block for their business applications or products. RCP accelerates the development and deployment of desktop and embedded applications. It builds on the modularity infrastructure supplied by Equinox by adding comprehensive GUI frameworks and facilities, sophisticated provisioning infrastructure, user assistance and many more elements found in common applications. In short, it is all the gorp you need to create an application but don’t want to write yourself. Your core business is probably not about writing modular systems, GUI libraries or provisioning mechanisms. So, why spend your scarce development resources recreating what is already provided by Eclipse? Instead, you can take advantage of the frameworks and facilities in RCP and get out of the gorp. Applications are getting more and more sophisticated. Users expect more. The bar on your application look and feel and function is rising. RCP helps you clear the bar more easily and even raise the bar higher by enabling new integration of new interactions and workflows. What is Eclipse 4 (e4)? RCP has, over the years, been a focus for innovation and new directions for the Eclipse project but always with the promise of tight continuity with previous releases. The Eclipse 4 (e4) project was created to allow developers to rethink the basic paradigms of RCP and create a basis for future developments in the project. The Eclipse 4 Application Platform is the result of these developments and represents a major innovation to the platform. The core goals of Eclipse 4 are to decrease complexity and to make Eclipse applications visually more appealing. Eclipse 4 also introduces innovative programming techniques such as dependency injection, annotations and CSS styling. Further, it reduces complexity by providing a consistent model of the workbench based on EMF – the Eclipse Modeling Framework. All of these new directions have been implemented with a clearly laid migration path for RCP 3.x applications. EclipseSource team members actively participate in the Eclipse 4 community. We offer training and consulting to make your existing RCP application ready for Eclipse 4 or support your application in the full software development cycle on the new platform. The projects at Eclipse are a distillation of best practices and expert implementations. The frameworks have been created by professional developers whose main motivation is creating world-class solutions to particular problems. By using RCP your application benefits from that expertise. Many scenarios involve applications of a variety of different sizes. 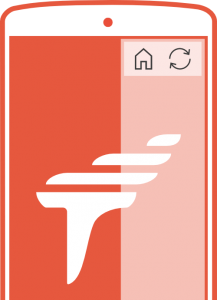 Small simple apps for handheld devices, power-user configurations, occasional user support, and so on. RCP supports applications from just a few bundles to many thousands of bundles. The same programming model can be used across the computing landscape and with RAP, you can single source your rich client and rich internet applications.